We chat with Activision's own 007, Executive Producer Stuart Roch. Kikizo: On the same note, the Bond value never devalues - it never goes out of fashion. So how come EA gave it up? How did Activision get the rights to it? Roch: I don't know, I can't really speak on that. We were really passionate about the Bond license, and we were really excited when Treyarch took it - I was actually working at Treyarch when they bought the license and I transitioned to Activision later. It's debatable. I think there are some people out there who felt that the games and the movies have been kind of up and down over the years... I just feel really glad to be on a high. Personally as a Bond fan I feel that Daniel Craig is a good Bond. Kikizo: Have you included any material ripped directly from the film? Roch: No. We haven't, say, grabbed film footage and put it in. 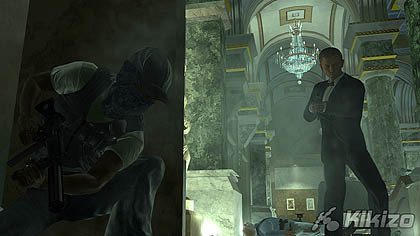 Cut scenes are a combination of in-game and pre-rendered in some cases, but there's no actual footage in the game. Kikizo: You're using the Call of Duty 4 engine for Quantum of Solace. 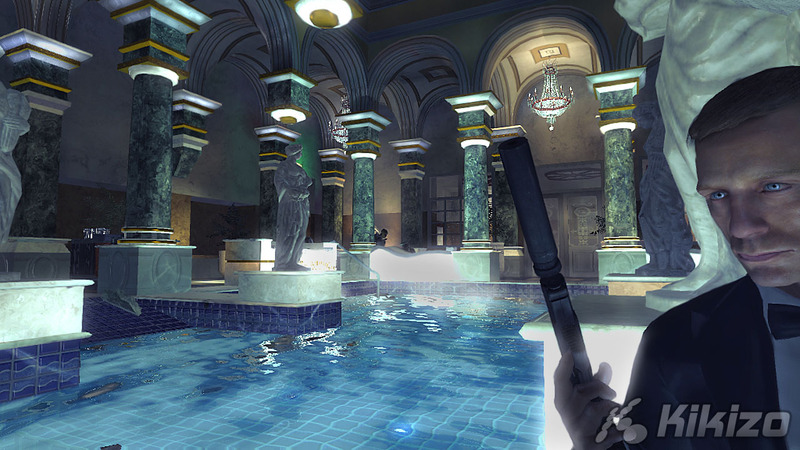 Have you had to compromise any of Infinity Ward's achievements with CoD4 to get your game running? Roch: I think that's a very astute question. When you're doing a Call of Duty game it's a lot about the destruction and blowing things up. In our game we don't do that much destruction but we want it to be a lot more detailed, so even the hallway in the Casino is interesting, you stop and look at it - the banisters, the wallpapers, things like that, there are definitely different artistic directions between the two titles. 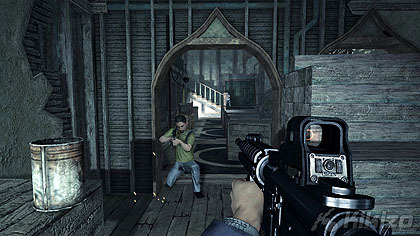 Matt: One of the big changes we've done with the action is "persistent Bond", where in the original Call of Duty what they were doing there was that you'd just kind of "draw" the gun on the screen. The full 3D Bond exists throughout the entire game, and that way you can go seamlessly into and out of cover and into and out of third person. 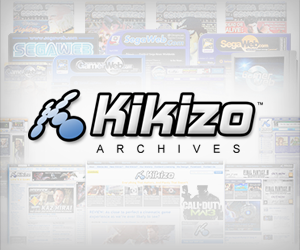 Kikizo: We've seen the Xbox 360 and PS3 versions today - what about the other versions? Specifically, what about the PC version? Roch: Yeah. I'm in a pretty unique position because I'm the executive producer at Activision, so I don't just work with Treyarch - I work with all the developers. Everybody has taken the lead from Treyarch in terms of content, but that being said one of the things we set out to do in the beginning was not just port everything. So the PS2 version is a little bit different because we've played to the strengths and weaknesses of that platform. Beenox working on the PC is a great example - we didn't want to just throw the 360 version over, that would be easy. We spent a lot of time making sure the controls would please the PC gamer. Same goes for Wii. So you'll see different strengths and weaknesses but they're all led by the same content, they all have similar mission design and things like that, so we've just altered them as needed for technology or [other] necessary reasons on a given platform. Kikizo: Are there any other technical differences between the versions you'd like to mention? Roch: The PS2 version is different in terms of level design - we can't display as much geometry, there are memory constraints, so we've had to deal with certain issues around that... PCs are another example - Matt's lead producer on the PC version - and we joke that it might even end up looking better on the PC just because you can scale the graphics up. And some of the stuff that's going into the Treyarch version is actually higher res as raw data than can be displayed on Xbox 360 and PS3. Again we're hoping that the PC gamer - not only in controls but also in terms of graphical fidelity - will be pleased by it. Roch: Yeah, level design-wise it's exact, but again we have the opportunities to scale up graphical detail and things like that depending on your hardware, so we do take advantage of that. Kikizo: It's interesting that you're using material from both recent Bond films, though we suppose it does give you more to work with. Can you tell us roughly what the ratio of content is between them in the game? Roch: It's pretty equal, and we do explore beyond the films in certain ways - we tell some different story elements that might have ended up on the cutting room floor making the films. And one good thing to note too is that they've made 22 Bond films now with this next one, and this is the first time ever that it's a direct sequel to the previous film. Casino Royale ends and when you go to see Quantum of Solace you'll see it picks up right there. So it lends itself naturally to - we'd only be telling half the story if we just did Casino Royale. Quantum of Solace is out now on all formats in Europe, and the North American version hits stores on November 4. You can read our review of the game here.